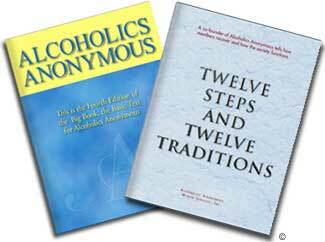 Welcome to the official website of Service Area 37 of the General Service Conference of Alcoholics Anonymous. Area 37 covers the entire state of Mississippi and is one of 93 areas in the General Service Conference of Alcoholics Anonymous (United States/Canada). Each year, elected officers, district committee members (DCMs) and group service representatives (GSRs), as well as appointed committees, gather together at four quarterly assembly meetings to discuss and vote upon issues affecting A.A. at the state level. We also elect a delegate to represent us at higher levels. All Area 37 members are welcome to attend assembly meetings, but only those elected as GSRs, DCMs, standing committee chairs, officers, alternate officers, delegate, and past delegates may cast a vote. We are responsible directly to the groups we serve. Our membership consists of more than 200 A.A. groups from about 100 Mississippi towns and cities. The primary purpose of our website is to help readers find information about the location, times, and addresses of meetings of Area 37 groups and districts so he or she can make direct, face-to-face contact with A.A. This website will not be used to establish or encourage email exchanges, chat meetings, or contacts that lead to similar online activities. All information is provided solely for the purpose of helping the alcoholic make direct, face-to-face contact with A.A.
©The AA Grapevine, Inc. Reprinted with permission.